Sometimes it’s simply not enough for a woman to be attracted to you. Maybe you’ve got a larger game in sight – maybe this really is the woman you’re supposed to end up with. It helps to know the qualities that are key in how to get a woman to fall for you. If you’re dating a beautiful, intelligent, compassionate woman, you may be looking to take things long-term. However, do you really have the characteristics of a man with whom she could fall in love? 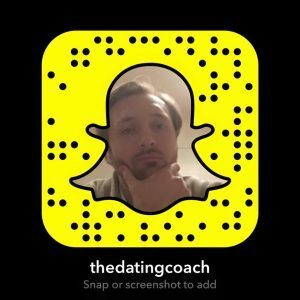 I’m going to take you through how to make a girl fall in love with you. These aren’t characteristics you can just switch on overnight – you need to make a habit of demonstrating these qualities time and time again. If you want to be the kind of guy that can make a woman fall head-over-heels, you have to make sure these personality traits permeate your first few months of dating her or having her in your life. The more you show you can be a rock, the quicker you will become hers. Those strengths and protective qualities could be emotional, financial, or physical. What’s important is that you’re consistent and can be relied upon. If you say you’re going to do something, you do it. You can’t be bringing around any unreliable “young man” behaviour. Don’t procrastinate and flop, but follow through on your word. Create a pattern of behaviour with certain women in your life that shows you can be a pillar. Be the guy that delivers. She is constantly filtering out men who are in it for the short term. If you’re looking to marry this woman, show consistent behaviour. These are just the basics of forging a meaningful relationship. Another massive part of what makes a woman fall in love is a man putting in real effort to show that they care. I’ve spoken about effort before, and it’s a complaint that comes up often from women I know. Their man does not pay them enough attention. Their man does not listen to what they want or what makes them happy. I’m talking about the thought that goes into shared activities or gifts. Anyone can book a table at a restaurant, but it’s about the consideration that goes into the evening and the deal you make of it, such what you’re wearing. For example, I took my girlfriend to a hotel recently and turned some Facebook images of us together into Polaroids using an app. The hotel staff had already scattered them around the room on arrival. I also had a pecan pie waiting in the room because she’s American and just missed Thanksgiving. Put thought into what you do together. Maybe she has a favourite place, and you’ve managed to book tickets to go there. That’s great, but what else can you do to make it more special? If you always think about things you could for other people but never follow through, stop and think about how ridiculous that is. It’s your behaviour in these kinds of moments that make all the difference, and it is a rare breed of man that follows through on those generous and thoughtful impulses. It’s standing out in this way that will start to trigger feelings of love and a desire for you as a long-term partner. This seems pretty obvious, but how to make her fall in love can also revolve around being a good lover. Learn what women respond to and care about. You need to discover what romance is if you aren’t already acquainted. Become a better lover. You also need to be able to communicate with her in the bedroom and get in touch with her desires. She will only truly establish you as the guy she loves if she knows that this part of her will be fulfilled. Long-term relationships needn’t be sexually boring, and she’s unlikely to resign herself to one that looks to be headed that way. No one else can decide how women fall in love. However, you can maximise your chances by doing the absolute best for yourself and building a successful, confident version of you that could provide for any partner you have. Set goals for yourself and deliver. If you can say you’re going to do something, such as get into a certain position at work, and in a year you’ve done it, that’s extremely attractive. A man who knows what he wants and goes about getting it, without failure as an option in his mind, is one that will most likely demonstrate security and stability. By proving you’re not throwing empty promises at her to get to third base and actually delivering, you can show that you’re the guy with substance. You’re the guy who’s different. So be honest and upfront, don’t make promises you can’t keep, and always aim to provide her with more and more in the way of security. A relationship with you has got to be a good deal for her, too. Work on yourself to become the guy worth falling in love with. 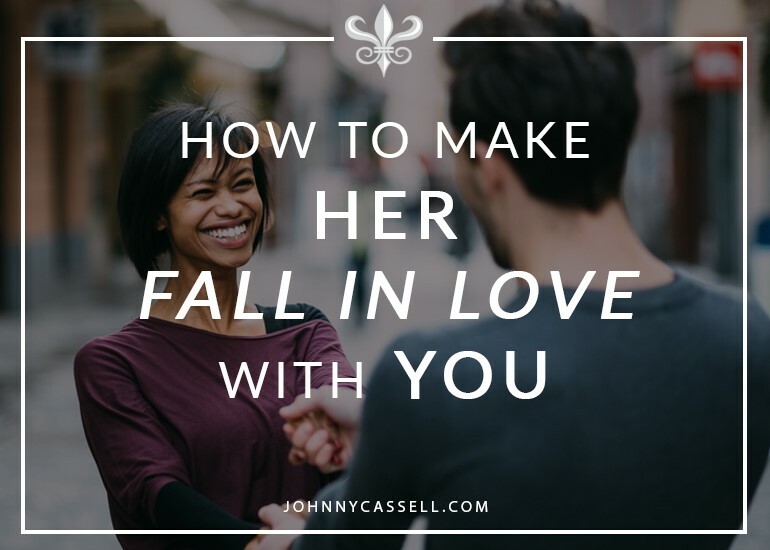 Learn more about my 7-Day Course, and the quickest route to becoming a desirable man, at www.johnnycassell.com/pua-training.